Research suggests that adhering to a tradeoff model in business constrains innovation. One of the early examples of an environmentally friendly shoe design. Recycled and discarded material was used as a primary input into making a new Nike running shoe. This blog post is the first in a four-post series on Sustainability-Oriented Innovation (SOI), offering a definition and overview of SOI. The series builds on Accelerating the Theory and Practice of Innovation by Jason Jay and Marine Gerard. Subsequent posts will explore different types of SOI and the different ways companies are using it, as well as the idea of SOI centers of excellence (CoEs) and SOI communities of practice (CoPs) to facilitate the establishment of those networks — topics we hope to further expand at MIT’s upcoming Sustainability Summit. Overcoming these challenges and enabling societies to thrive on a planet with increasingly finite resources will take significant innovation. We call this sustainability-oriented innovation (SOI). SOI is about dispelling the notion of tradeoffs between what seem to be competing goals — performance versus impact, profit versus purpose, human wellbeing versus environmental protection. Our research suggests that when we no longer see these goals as competing, we create products, services, and business models that are holistic rather than fragmented. The potential for SOI exists within all firms. We just need to understand the barriers to unleashing it. Our research suggests that one critical barrier to achieving SOI is the “sustainability tradeoff” view of the world, a mental model that says having a positive social and environmental impact must exist as a tradeoff with more traditional business drivers. The common perception that achieving sustainability requires a decrease in performance. It is an either/or tradeoff model. Let’s look at Nike as an example of a company that discarded its tradeoff model. In the late 1990s, it started to develop an organizational commitment to environmentally responsible shoe design. One of its early forays into this work was the “Trash Talk” shoe, a shoe made from scraps of discarded material. The intended social value was to find a productive use for cutting-floor waste in the factories. Less waste meant using less energy, less water, and fewer chemicals. But the shoe was a commercial failure. Customers did not find it aesthetically appealing, and Trash Talk did not have all the performance characteristics that Nike athletes had come to expect from their footwear. For Nike, succeeding with SOI meant holding firm to its commitments to both performance and impact. While Trash Talk had been a “compromise,” moving along the tradeoff line, they needed to push the envelope. Performance and positive impact are two different dimensions. While some degree of tradeoff can exist, and some amount of “compromise” may be possible, real Sustainability-Oriented Innovation breaks tradeoffs and expands the frontier. After an extensive search and invention process, Nike took a very different approach from the one they had been using. On the impact dimension, they sought to achieve zero waste on the cutting room floor, a standard that far exceeded any they had set in the past. On the performance dimension, they sought to make shoes lighter and more breathable. By committing to achieving both performance and impact, Nike had let go of its either/or approach. The result was Flyknit, a new technology that involved weaving the upper portion of the shoe from a single thread. They had learned what artists have long understood — that constraint generates innovation. For Nike, holding impact and performance constraints simultaneously led them to an entirely new way of producing athletic footwear. Nike Flyknit technology involves weaving the upper portion of a shoe from a single thread. It reduces the shoe’s overall environmental footprint and at the same time increases its athletic performance with lighter weight and flexibility. By creating a new way to manufacture its popular running shoes, Flyknit produced what Nike CEO Mark Parker summed up as an innovation with “…the potential to change everything.” Flyknit is a mainstream product, marketed as a high-performance shoe. Its sales are projected to surpass $1B in 2016, which for a single shoe is an astounding accomplishment given Nike has an $18.3B total footwear business. 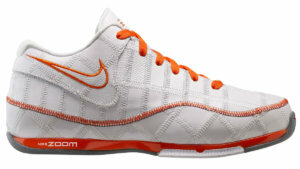 In our example, Flyknit hit the SOI sweet spot and tackled all three constraints simultaneously by creating customer value by increasing comfort and running performance; creating business value by cutting production time and costs, and addressing mainstream customer needs with significant market potential; creating system-wide environmental and social value by reducing landfill waste and reducing the need for labor-intensive, low wage work. Any new product or business will usually focus on either being good for customers, good for the underlying business, or being good for the system and society. SOI seeks to balance all three in order to scale and diffuse its benefits effectively. We know that successful SOI doesn’t occur in isolation but through collaboration. Dutch startup DyeCoo Textile Systems B.V. completely revamped Nike’s textile dyeing by using an entirely waterless process called ColorDry, which reduced water demand by 100-150 liters of water (26-40 gallons), reduced dyeing time by 40% and energy use by 60%, and reduced the factory footprint needed for production by 25%. DyeCoo’s technology was a game-changer. While Nike Flyknit and DyeCoo ColorDry have both proven to be powerful technological innovations, SOI is not limited to cutting-edge technologies. It also has impact at the organizational, institutional and social levels. SOI sometimes requires change to broader systems than simple product design. Product and process innovation lie within one small boundary of innovation. The examples in the figure draw from innovation for sustainable mobility. Consider new intra-company “process” innovations like Buffer’s transparent salary bulletin and calculator, Tesla Motors’ “system infrastructure” changes like its international EV supercharging network, and Uber’s new “delivery and business model” innovation for car-sharing taxi alternative. These are all prime examples of the versatility of SOI across the organizational, institutional, and societal levels of innovation. They all work within different boundaries of change — from individuals to the inside of firms, firms to the inside of states, and states to the inside of society. In pursuing these bigger, more systemic solutions, SOI embraces a wide swath of commercial and civic stakeholders. Entrepreneurs, corporate intrapreneurs, policymakers, NGOs, investors, academics and active citizens all play a role in SOI success. Embracing such diversity dispels the notion of single-player innovation and focuses instead on increasing opportunities for growth and scale through a multi-stakeholder approach. With this wider perspective and more diverse population of stakeholders, it becomes possible to tackle the big challenges more effectively and to be part of the solution that creates a positive future for business and society at large. In our subsequent blog posts, we explore the types of firms and strategies that can mesh with SOI, and the process of multi-stakeholder innovation. Jason Jay is a Senior Lecturer and Director of the Sustainability Initiative at MIT Sloan. Sergio Gonzalez is a graduate student in the MIT Technology and Policy Program. Mathew Swibel is Director of Sustainability at Lockheed Martin. Hello, I definitely appreciate the intentions of your work and the challenges of integrating sustainability into a profit first oriented business model. I believe that a holistic, systems approach is our only way to tackle the myriad of challenges we have within our current resource consumptive economic model. I realize that you are working to appeal to large companies who are most motivated by profit toward sustainability goals. That said, I find a conflict between your statement about seeing social, environmental and economic goals as holistic and the companies you highlight. Yes, it is great that Nike is creating shoes that are less resource consumptive to produce. How long do they last? Where do they go when they are discarded for the 2017 model that Nike wants to sell? Uber is being challenged legally in many locations regarding their labor practices and the creation of a business model that provides little to no stability for their labor force. I would love to see some examples of where the type of holistic thinking that you mentioned exists in their business strategy. How do we balance all of those things? I believe in a holistic systems approach to design and business that includes social and environmental values and I am concerned that we are incremental in our approach to arriving there. I hear disdain for incremental innovation when it comes to technology innovation but find it celebrated when it comes to discussions of innovation in sustainability. @SACHIARIEL thank you for taking the time to read our post, and for the very thoughtful comment. I think you are right on. For the idea of SOI to catch fire, we need more great examples that are a.) scaling to a point where they can impact large-scale sustainability issues (and people recognize them), and b.) exhibit the kind of holistic approach that you and we advocate. I would love to see more of those examples come out in the comments here. For this post we leaned toward (a) for the sake of engaging a wide audience in the conversation. Watch the subsequent posts in our series (we plan for them to come about every two weeks this season) where we give some examples that are heavier on (b) like Sanergy and Spoiler Alert. You raise a fantastic point that we distain incremental innovation in technology but celebrate it in sustainability, when it is exactly sustainability where we need significant disruption and change. We will keep that in mind as the work unfolds.